An overlay system is a polymer based product, specifically designed to bond to an existing concrete surface and designed to out perform basic concrete. The proper application of these modified acrylics will ensure a super tight bond with the concrete and provide an extremely hard durable surface that will be resistant to harsh freezing and thawing cycles as well as salt and most chemicals. Overlays are also UV resistant due to the sealer applied after the process is complete. 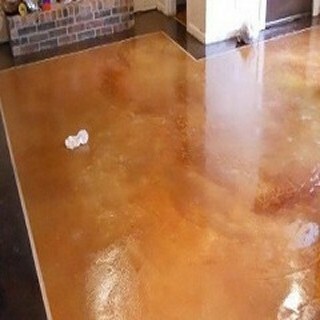 The sealant will keep the original color vibrant and will not fade over time. It is necessary to have the sealant reapplied every few years as general maintenance depending on the amount of use for the specific area and whether it is interior or exterior. 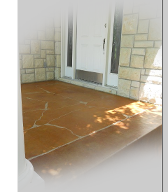 We strongly encourage all exterior concrete, decorative or not to have sealants applied. This will increase the surface life and prevent pop outs and spalling. 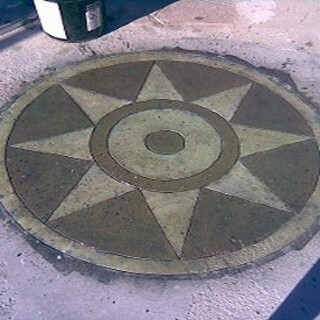 Overlay examples above were completed over existing concrete, stained and engraved.